In Part 1 of our 4 Part Series on Bream, you read about The Best Places to Find Bream in Australia. In This Part 2, you'll read about the best way to catch Bream in Australian estuaries, bays and harbours. Bream are predatory and in their usual habitate they will eat small crabs, prawns and other crustaceans, assorted bait fish and shellfish such as oysters. Bream will however also scavenger and will rarely pass up an easy feed. 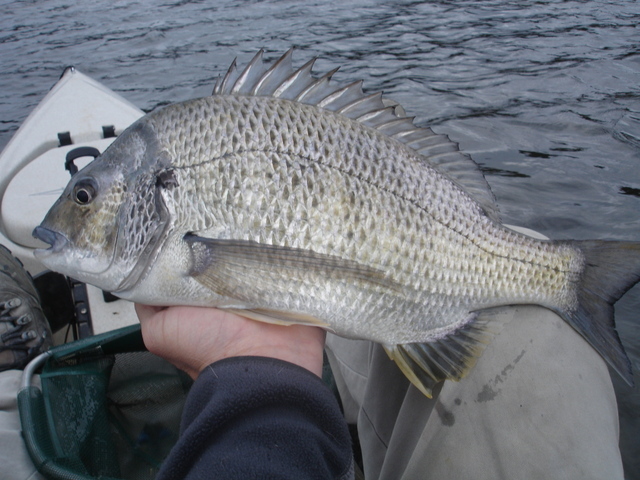 If you’re looking to take Bream in Australian estuaries, bays and harbours, many Aussie fishers recommend using a light, sensitive tackle. The best bait by far for Bream is live or fresh baits. 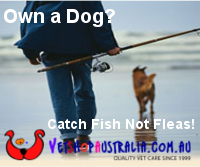 I find the best bait for Bream is yabbies and peeled prawns, but you can also successfully catch Bream with marine worms, fish flesh, mullet gut and pilchard.. Have a range of baits to try as Bream can be fussy. If one type of bait is not working for you, don’t hesitate to try something else. 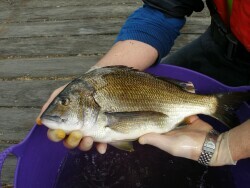 Burley trails regularly attract good sized Bream. Try fish flesh, bread and chicken pellets for a good Bream burley but don't over burley. Your aim is to excite the Bream enough to come looking and strike, not to feed them. To catch Bream, bait movement is important, so use round running sinkers - I prefer No.0 ball to No.3 ball. The best rig for Bream in my view is one with the sinker directly above the hook, with a small No.10 free turning swivel about 1 metre above the sinker. Having the sinker on hook gives you direct contact with your ball whether fishing into or against the tide. Its also easier to remove if your hook becomes snagged. Don't be afraid to cast close in to tackle eating snags if you are in search of really big bream, snags are where they live.